Ukrainian President Petro Poroshenko ordered to request the US Federal Bureau of Investigation’s (FBI) and the European Union’s expert assistance in uncovering the case of Belarusia-born journalist Pavel Sheremet’s killing, Poroshenko’s spokesman said Wednesday. KIEV (Sputnik) – He tols the reporters earlier Poroshenko assigned security to Sheremet's common-law wife and owner of the Ukrainskaya Pravda newspaper, Alena Pritula, in the wake of the car bomb attack. “The president instructed to bring to the investigation specialists of the US FBI and EU experts,” Svyatoslav Tsegolko wrote on his Twitter page. 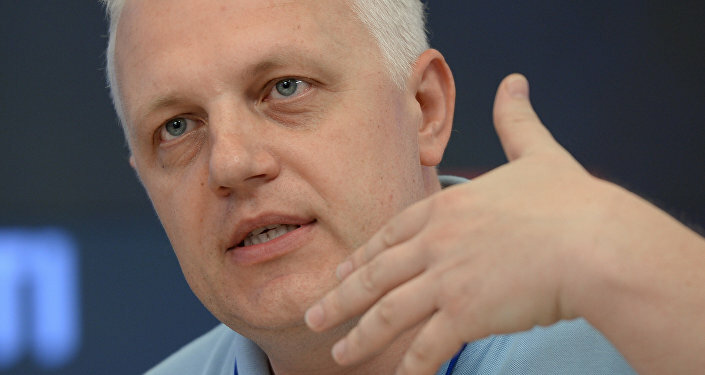 Earlier in the day, Sheremet, who also worked for Radio Vesti broadcaster, died when a car he was inside blew up in the center of Kiev. According to the Ukrainian Interior Ministry, the explosion was probably caused by a remote-controlled explosive device.